Reading: I read " Zoom" and the students made connections. Math: I wrote addition and subtraction problems on the board and students took turns to say the answers. Yesterday students did a Math worksheet and they wrote down sums please practice at home as well. They coloured the picture according to the key given. Science: We discussed the questions that we need to answer for our project about animals. We talked about how to present our projects. The following students will have their presentation on Monday 16th Insha Allah are: Mu'minah, Ibrahim K, Ibraheem H, Huzafa, Zahrah, and Lamar. Story Log: Your child will retell Down to the Sea with Mr. Magee and you will write the details in the story log notebook. Please send the canvas, yogurt containers, cd and pantyhose to school with your child on Monday if you have not sent them. 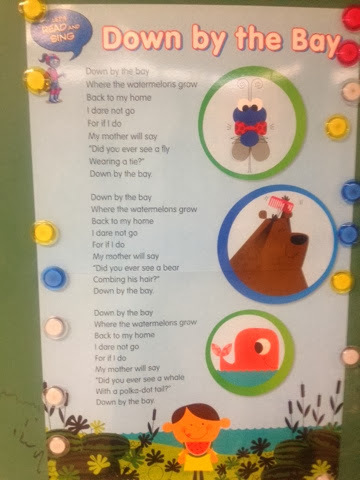 Our morning assembly is t on Tuesday the 17th can you please practice this song with your child.